The UK Town and Gown Association (UKTGA) strengthens town gown partnerships by providing a network of off-campus practitioners and resources, identifying and sharing leading practices, innovative solutions and creative opportunities within off-campus communities. The Group work closely with the USA-based International Town and Gown Association (ITGA) to ensure a truly global approach to off-campus management. The central tenet of the UKTGA is to enhance the student experience through consistency, ongoing support and improved standards for those students and long term residents living in off-campus communities. The UKTGA was established by, and is overseen and coordinated by Manchester Student Homes (MSH) on behalf of The University of Manchester and Manchester Metropolitan University. The work of the UKTGA is delivered by a steering group of elected regional members who are responsible for the delivery of a biannual conference as well as the coordination and dissemination of leading practice, academic research and networking opportunities. The UKTGA is chaired by the Manager of MSH who also represents the ITGA at Board level, and is a pivotal link between the organisations. The UKTGA has over 300 members globally, representing Universities, Students’ Unions, Local Authorities, Police and other stakeholder organisations. The UKTGA facilitates ongoing dialogue and sharing of ideas to respond to issues which underpin the off-campus student experience. This includes, but is not limited to; safety, housing (licensing and planning), health and wellbeing, regeneration, environmental issues, drugs and alcohol as well as celebrating the contributions our students make to the communities in which they reside such as economic vibrancy, diversity and 1000’s of volunteering hours. The UKTGA has held two conferencesin 2014 and 2016 at The University of Manchester and Nottingham Trent respectively. These have seen over 400 delegates from across the UK, Canada and America come together to share ideas, brokerrelationships and strengthen standards to support the student experience, regionally, nationally and internationally. Conferences are supported by the delivery of smaller regional meetings to further build on this collaborative community and strengthen this partnership.This network has been cited as instrumental in providing support for colleagues who deliver niche roles to support students living off-campus “I’m on a steep learning curve in regards to this whole area but am coming away from this conference a definitive step further up the curve”. The UKTGA work with leading academics such as Professor Darren Smith (Loughborough University) and Dr Michael Fox (Mount Allison University, Canada) to support research on issues such as studentification and destudentification. This work ensures that policy makers both internal and external to Universities can make informed decisions about off-campus communities to further enhance the student experience. Sharing best practice has facilitated a number of key outcomes which have benefited the student experience. Key examples in Manchester are relationships established through the UKTGA have seen the delivery of a specific project to review Manchester City Centre’s Night-Time Economy. This project has enabled Greater Manchester Police, the Universities, Students’ Unions and Manchester City Council to work with emergency service staff, licensed premises and third sector organisations to ensure a safer, more cohesive City Centre for students. This initiative is based on the Nottingham model showcased at the UKTGA 2016 Conference. Next steps for the UKTGA will be consideration of how universities incorporate town gown relations within the formal curriculum, as based on successful American models. 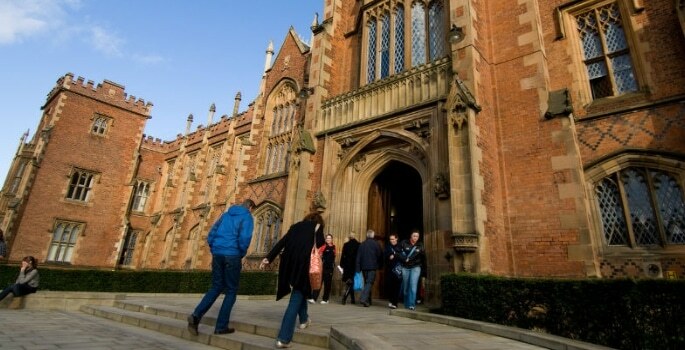 Plans are currently underway for the 2018 Conference at Queen’s University Belfast and the creation of a training package for off-campus practitioners to further ensure sector standards are maintained. This is being shaped following consultation with our members.